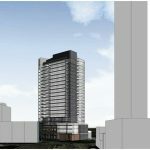 This is an exciting development coming to the heart of Downtown Toronto, close to some of the most fundamental institutions in the entire GTA. 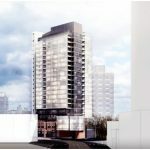 This condo project is about artistic expression in a neighbourhood that’s about to see tremendous renewal. 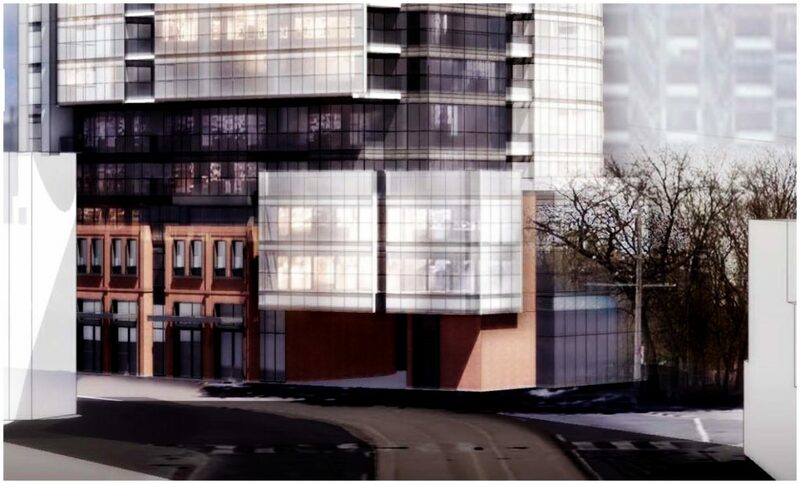 It will be located on the corner of Dundas and Jarvis, which is in the Garden District neighbourhood of Toronto. This underutilized plot of land in downtown offers a rare chance to invest in the city centre. Whether you’re planning a purchase for the purposes of acquiring an income property, or hoping to live here yourself, this is a chance that shouldn’t be missed. 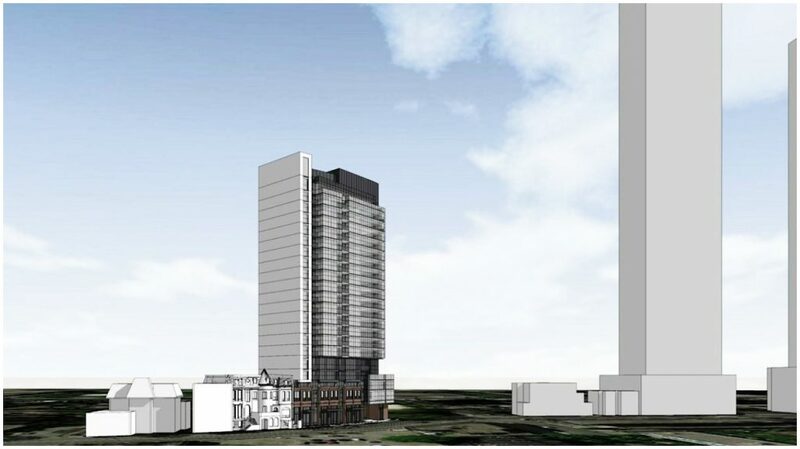 These condos are going to be in a 21 storey high-rise on the corner of Jarvis and Dundas. 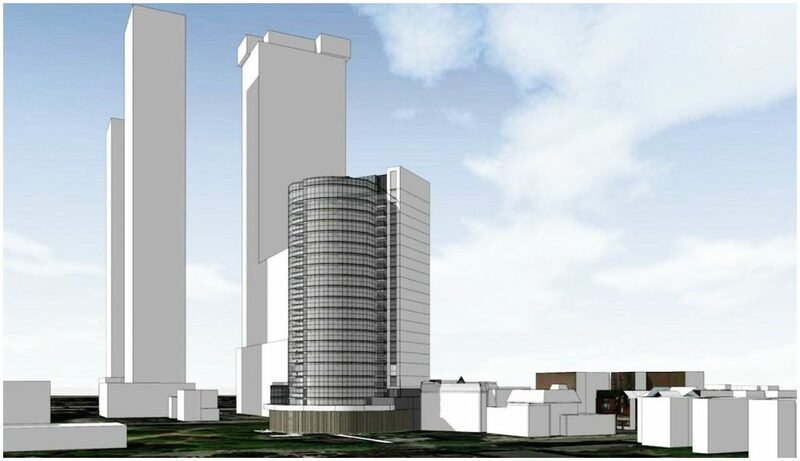 The tower will have existing low-rise residential homes on the northeast corner and an existing mid-rise hotel on the northwestern edge, where trees will envelop the southern portion of the lot. The ground level will have a commercial retail unit with 2,290 square feet of floor space. The second floor will be allocated to amenity space, which will include a games room, fitness area, yoga studio, party room, and a 2,115 square foot balcony for the residents. 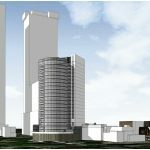 Floors 3-21 at in.DE will be for residential use only, and its units will be divided into 18 bachelor units, 111 one-bedroom units, 53 two-bedroom units, and 22 three-bedroom units. 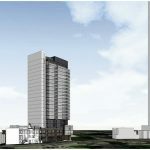 The downtown core is fastly running of room on which to build, but this project provides a chance to own property in the middle of Downtown Toronto. 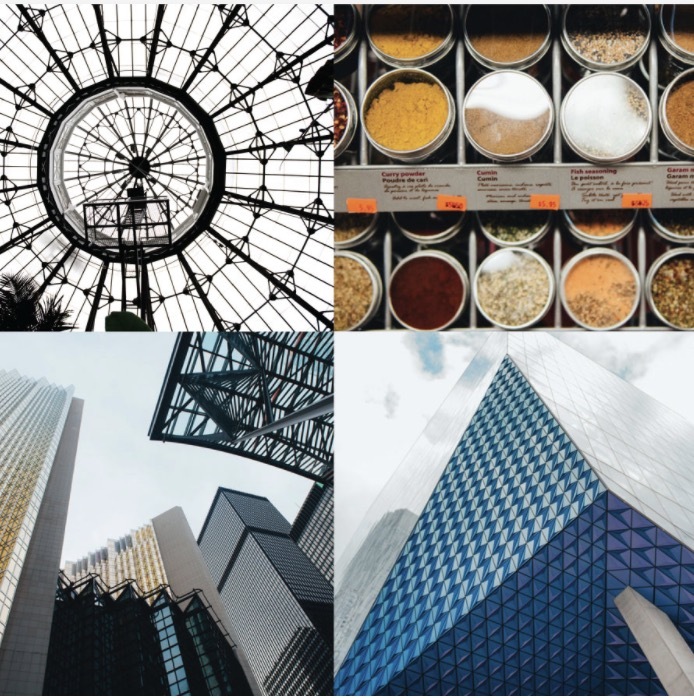 It is only minutes away from numerous Toronto institutions, including the Eaton Centre where you can buy anything you need. Being in the heart of the city, it should be no surprise that it also has excellent transit, and even driving from here is a breeze. It is close to Toronto’s major campuses as well, which is great for students and investors. All of this culminates into one of the best opportunities on the pre-con real estate market. Make sure you register today for in.DE Condos! 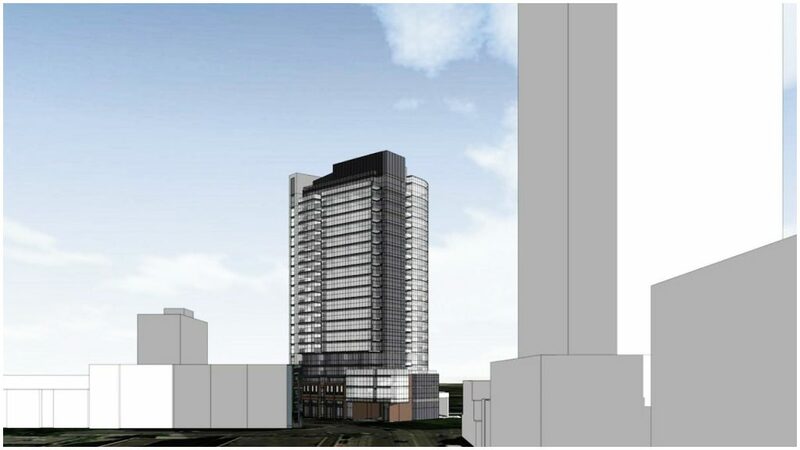 One of the best features for investors is this development’s adjacency to Ryerson University. This is a career focused school and is home to the Ted Rogers School of Management, which has North America’s top ranking business incubator - DMZ. Residents are able to make it to Ryerson’s main campus on foot in only 7 minutes, but the other urban campuses are in reach as well. OCAD University is only a 25 minute walk away, and the University of Toronto can be reached in 17 minutes with the help of public transit. Together, these campuses enroll over 100,000 students, and they’re all going to need places to live. This project is a tremendous opportunity for students - or investors who are looking to pick up a valuable income property. 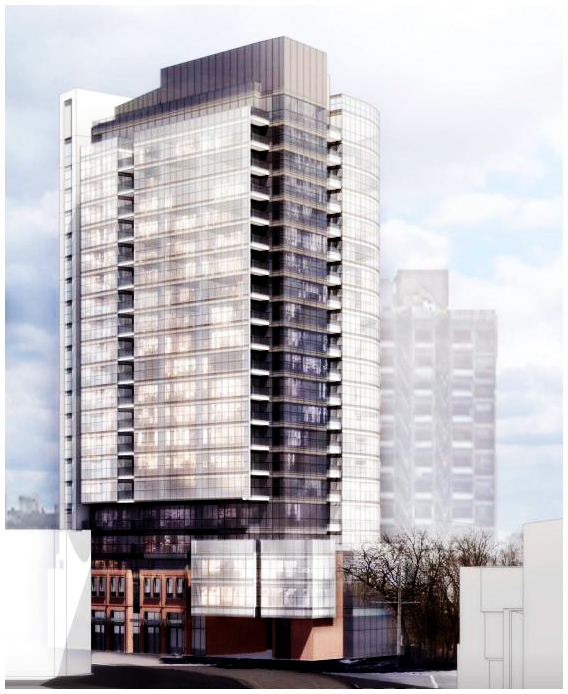 Welcome to in.DE Dundas East & Jarvis St Condominiums, where you will enjoy the best that Toronto has to offer. These condos will have a Walkscore of 97/100 and a Transit Score of 100/100. These amazing scores aren’t a surprise considering its location is in the downtown core. The Walkscore indicates that residents will not need a car to do daily errands. This is largely due to the nearby presence of the Eaton Centre, which is Toronto’s preeminent shopping destination. The Eaton Centre is the largest mall in downtown, and it has 245 stores and services that encompass over 2 million square feet of retail floor space. 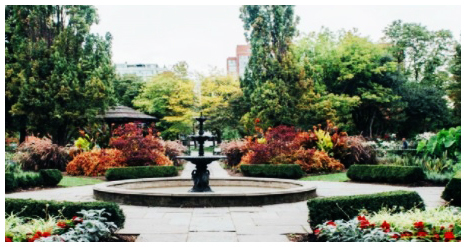 It has surpassed its status as a shopping mall and is now regarded as one of the premier tourist hotspots in Toronto. Anything you need, you can get it at the Eaton Centre. When you live at in.DE Condos you will find your place in the spotlight in the middle of everywhere. You don't have to be a celebrity to live like one, you just need to own a luxurious suite at in.DE. The perfect Transit Score can be explained, in part, by the ample street level transit in the area. Dundas is served by the 505 streetcar line that starts from Roncesvalles in the west and goes all the way to Broadview Station - veritably bisecting the downtown core. Sherbourne has bus routes that careen down its corridor as well. The transit star of the area though is Dundas Station, which connects riders to the Yonge/University line. From this subway station you can travel across the entire GTA due to the ability to transfer at Bloor-Yonge Station in three stops. This project is a great choice for motorists too. Locals are only a short drive away from both the Don Valley Parkway and the Gardiner Expressway. Together, these major arterial roadways provide passage across the whole of the GTA with direct routes to Mississauga, North York, Scarborough, and beyond. 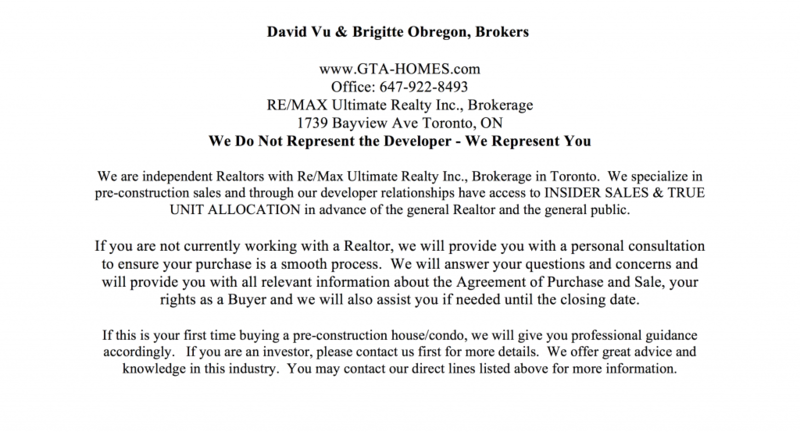 in.DE Condos By Menkes Developments. This real estate developer has over 60 years of building throughout Toronto. It was formed by Murray Menkes, who envisioned becoming one of the top single family home builders in the city. He planned on achieving this by adhering to the tenets of outstanding quality and enduring value. It wasn’t too long before his development company was building master-planned communities. Today this developer is building luxury single family homes, stunning offices, coveted industrial space, and of course outstanding condominium high-rises that always exceed expectations. The choice is all yours and it's all about choice at in.DE Condos.